Hello, lovelies! I am torn between cutting off my locks or to get used of the pony tail. It's scorching hot; the sun is unforgivable. I am happy that it's officially summer here in my country because this is the season to go out of town, visit our beautiful white sand beaches but if you're stuck in the city, it's hell hot. But what can I do? I am living all my life in a tropical country and hey, I'm not really complaining; not at all. Lol! 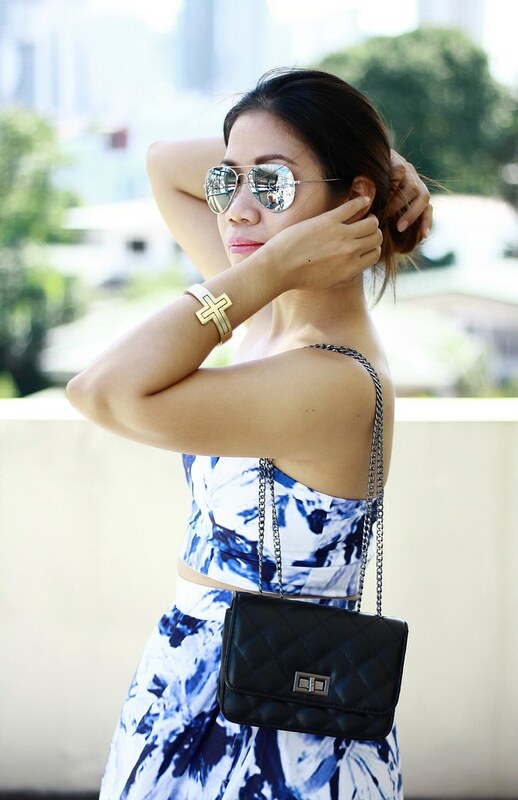 Anyway, as promised, here is the second installment outfit post wearing this two-piece set from STYLEMOI. This is my favorite set as of this season because it obviously screams summer! I am in love with this outfit! What's not to love? 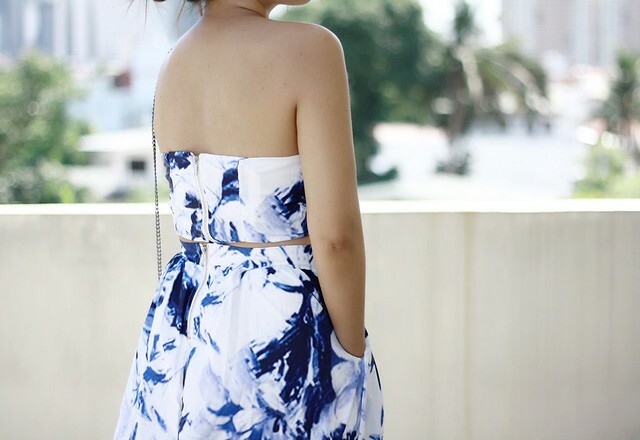 Aside from the lovely print, I really love the idea of a crop top and maxi skirt. I can't wait to wear this again to our family beach trip somewhere South. Hope you like this look, lovelies! When I saw this abstract floral maxi skirt & crop top, I know I found the perfect outfit for summer. A lot of outfit ideas popped in my mind because the set can be paired with a different item such as changing the top but with the same floral maxi skirt or pair the crop top with another skirt or bottom you find fit. Agree? And oh, it has two side pockets! Love that print, gorgeous. Also, keep the hair. wow this is looking amazing ! Love it a lot ! What a gorgeous combination! I love this print so much! love the skirt and top combo, I prefer it over the maxi dress, super cool! I am inlove with your outfit ate Jen! Super bagay sayo!